Timeless earrings feature an open filigree dome over an antiqued background. Designed with a hollowed interior and circular base. 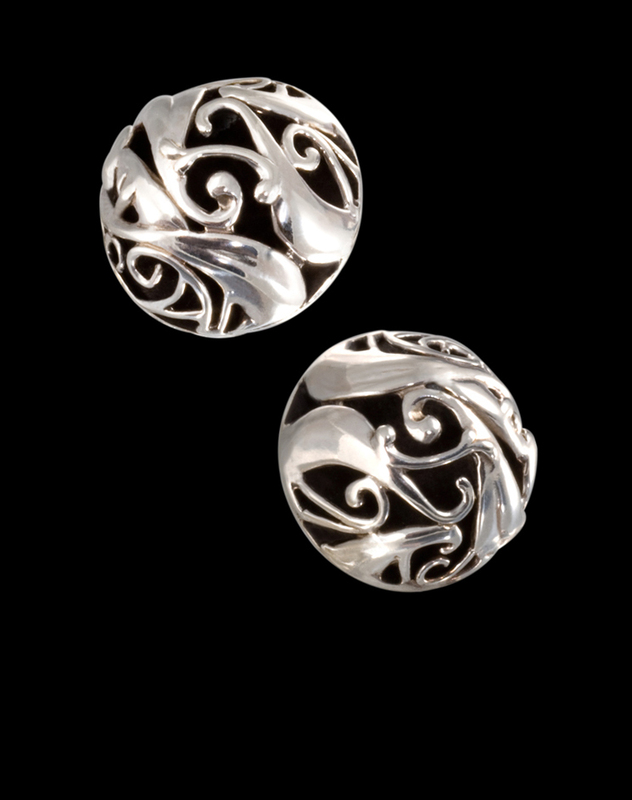 Intricate and elegant, these post earrings are perfect for both formal or casual wear.